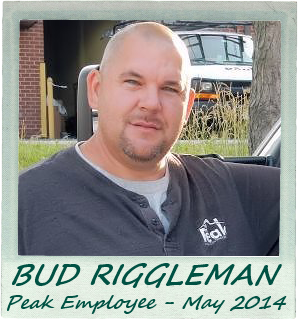 Bud Riggleman – also known as ‘Buddy’ to pretty much everyone – is a ‘lifer’ in the construction industry. Before he could ride a bike Bud was swinging hammers, carrying roof-deck up rickety ladders and cleaning out sawdust from places it just does not belong! He’s carried all those years of experience and their lifelong lessons to help create more than just one successful company. But besides living and breathing Peak Roofing Contractors morning, noon and night, Bud has been known to focus on other subjects, such as his love for fishing, ‘Over-the-Top’ Christmas decorating and perhaps occasionally rooting for the Pittsburgh Steelers…well, ALWAYS rooting for the Pittsburgh Steelers. 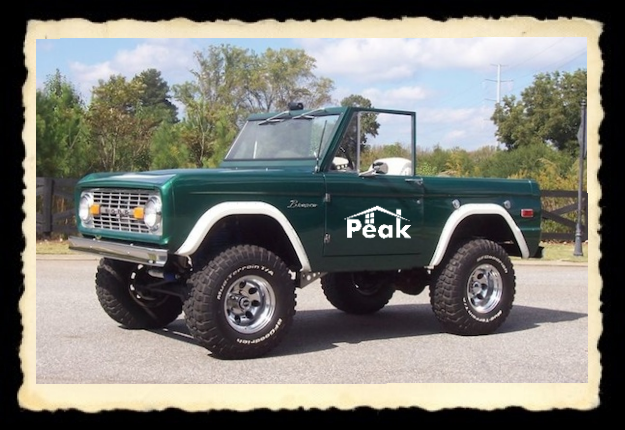 A big goal of Bud’s is to find & buy an ‘Old School’ Ford Bronco and build a garage big enough to house it along with all of the other vehicles he wants to own, but for the time being he is busy building garages, decks, roofs and other things for Peak Roofing Contractors’ customers. The thing is, Buddy isn’t this month’s Peak Employee because it was simply his turn. It’s because Buddy defines Peak Roofing Contractors. You see, he doesn’t just feel at home busily running Peak Roofing; he’s busy working to make sure Peak Roofing Contractors becomes part of your home too!